From Will Smith to Ryan Reynolds, now it’s Idris Elba’s turn to join the roster of actors Netflix has signed on to star in its movies. The English actor will be hunching his back, quite literally, to star in Netflix’s modern retelling of “The Hunchback of Notre Dame”, according to The Hollywood Reporter. Quite the multi-hyphenate, Elba will also be directing and producing the movie under his Green Door production banner. Since the multi-talented 45-year-old is also a musician, he will be producing original music for the movie, which is described as a "sonic and musical experience." “The Giver” screenwriter Michael Mitnick will pen the script, based on Victor Hugo’s 1831 novel, “The Hunchback of Notre Dame”. The original story tells of a hunchback called Quasimodo. He lives under the care of Frollo, the Archdeacon of Notre Dame, who becomes infatuated with a 16-year-old gypsy, Esmeralda, and orders Quasimodo to kidnap her. This sparks the beginning of Quasimodo’s own affection towards her. The most well-known movie adaptation of it is arguably Disney’s 1996 animated feature, though it features a far less tragic ending compared to the source material. 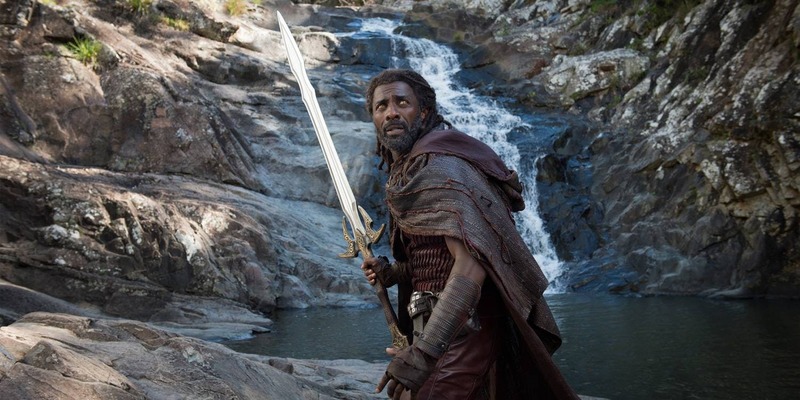 Elba, who at the moment is probably remembered best by fans as Heimdall, having appeared as the character in last year’s “Thor: Ragnarok” and this year’s “Avengers: Infinity War”, has been busy with his behind-the-camera works. He made his directorial debut with “Yardie” this year and created the Netflix comedy “Turn Up Charlie”, which he will be executive producing and starring in.